....Proudly Keeping America Beautiful since 1976 ! 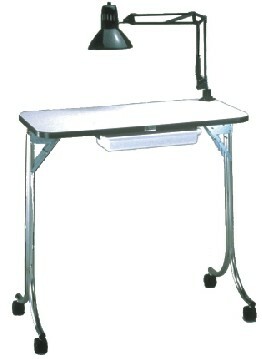 All Nail Genie machines have been designed and manufactured specifically for manicuring and pedicuring hands & feet. Lightweight & powerful for acrylic nail application, natural nails, tips & wraps! 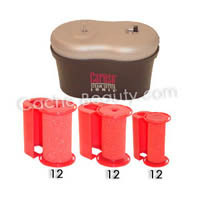 "Fits: Professional and JR. Models"
The Nail Genie attachment used to hold sanding cylinders. Keep several mandrels on hand to accommodate the three different grits of sanding cylinders sold below. Ideal for filing and shaping the free-edge of the nail, shaping the top surface of a newly sculptured nail and quickly removing excess product. 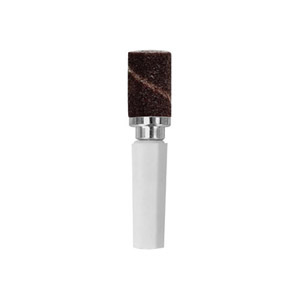 For a beautiful shine every time, the felt buffer is a must. 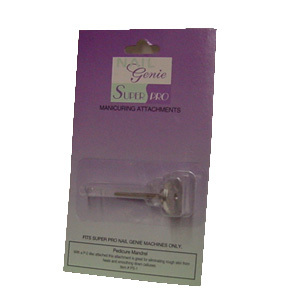 Can be used with buffing cream for that finishing touch to any Nail Genie manicure. 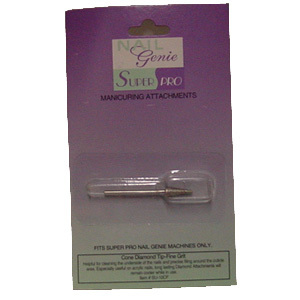 Our most popular Nail Genie Attachment. 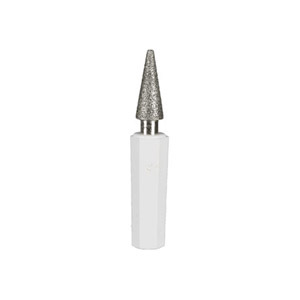 Ideal for cleaning underneath the free-edge of shorter nails and precise filing in hard-to-reach areas. 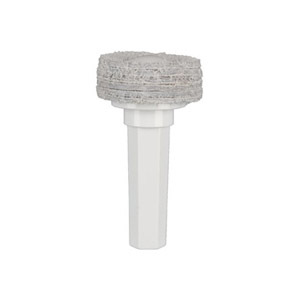 This fine grit stone is used to gently remove calluses and rough skin form the foot. 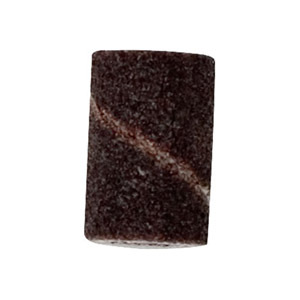 Great for eliminating rough skin from heels and smoothing down calluses. Made for use with the P-2 Sanding Disc. 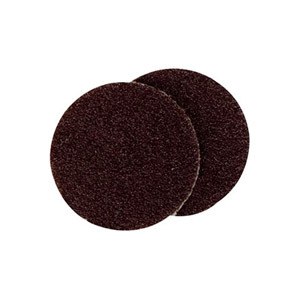 Made for use with the P-1 Pedicure Attachment, these adhesive backed discs stick on quickly and hold securely. Sanding Cylinders fit over the head of the S-1 sanding mandrel and are used for filing and shaping the free-edge of the nail or the top surface of sculptured nails. 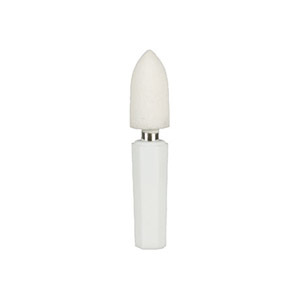 Used for shaping and smoothing the top of acrylic nails. Carbide bits run cooler and do not create as much airborne dust as regular filing bits. 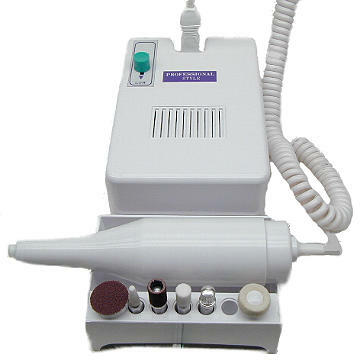 Long lasting metal attachment coated with diamond dust, used to gently remove calluses and rough skin from the foot. 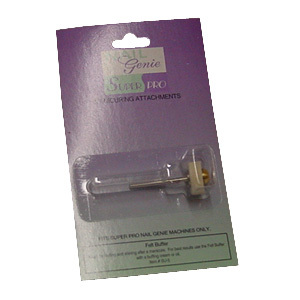 For use in cleaning the underside of nails and precise filing around the cuticle area. Especially useful on acrylic nails. 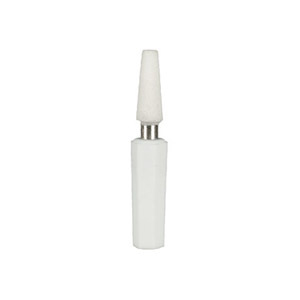 Long lasting, will not build-up heat on the surface of the nail while in use. 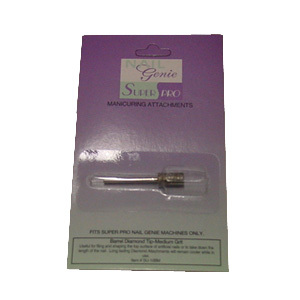 For filing and shaping the top surface of acrylic nails. 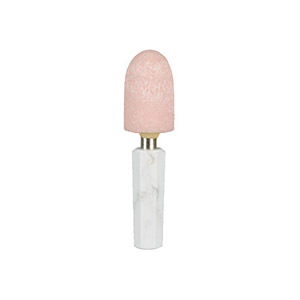 Long lasting, will not build-up heat on the surface of the nail while in use. 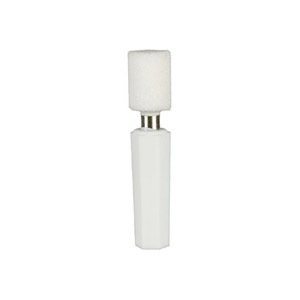 * Used for buffing and shining after a manicure. 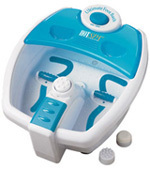 * For best results use the Felt Buffer with a buffing cream or oil. 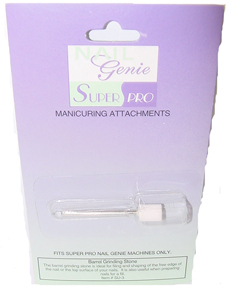 * FITS SUPER PRO NAIL GENIE MACHINE ONLY. * (Not for standard Nail Genie machines). 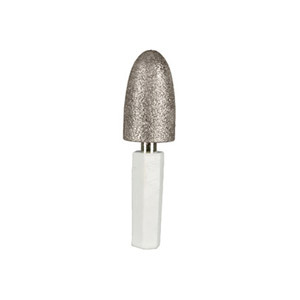 * Useful for filing and shaping the top surface of artificial nails or to take down the length of the nail. 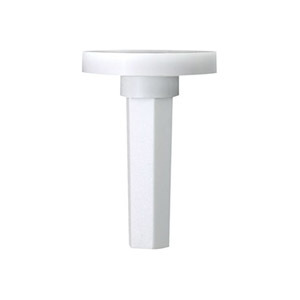 * Long lasting Diamond Attachments will remain cooler while in use. * FITS SUPER PRO NAIL GENIE MACHINES ONLY. 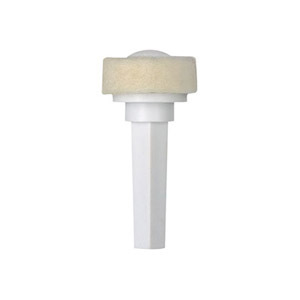 * Great for eliminating rough skin from heals and smoothing down calluses.